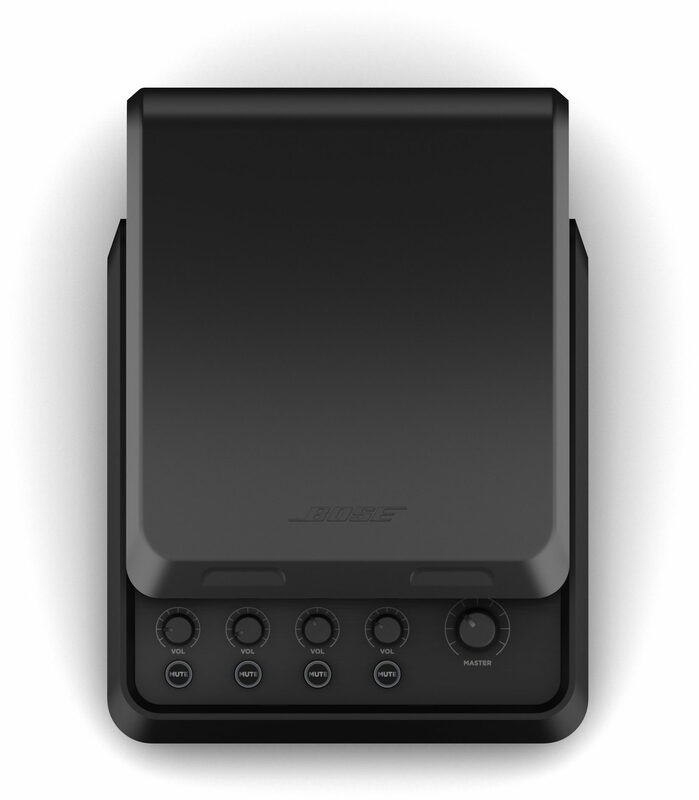 Take control of your music with the Bose T4S ToneMatch mixer, an ultra-compact 4-channel interface designed for performers. Engineered with a powerful DSP engine and intuitive user control, the T4S offers studio-quality EQ, dynamics and effects. 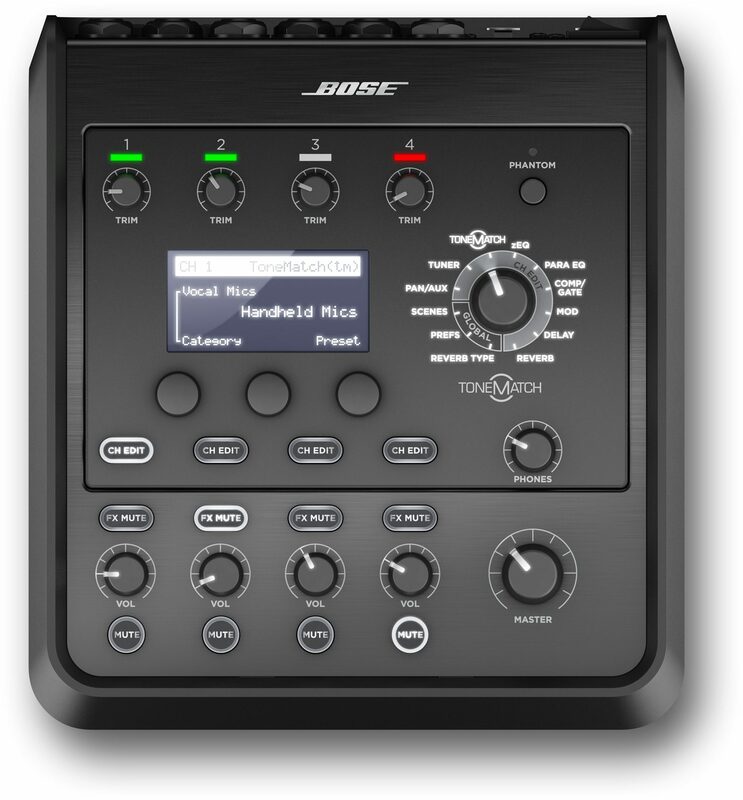 Sound great with integrated Bose ToneMatch processing and zEQ, especially when connected to a Bose L1 or F1 system for full end-to-end tonal control. 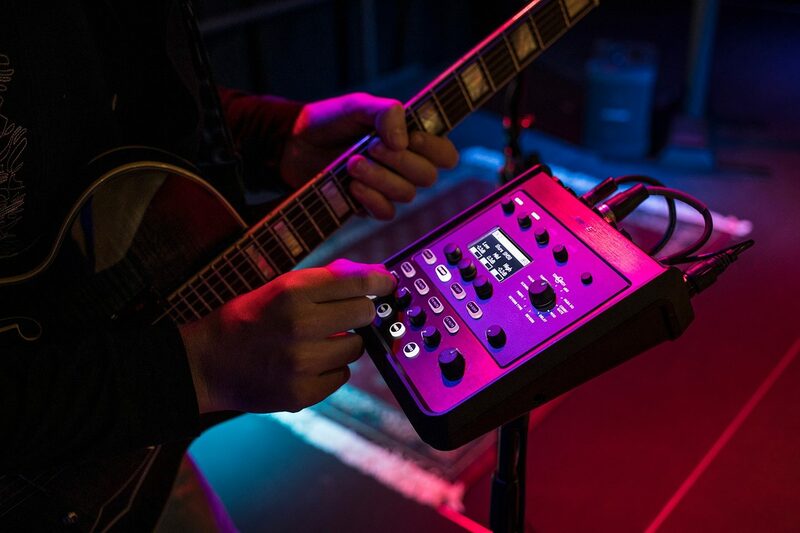 Play confidently on stage with the rugged T4S using its tactile controls, easy-to-read LED display and scene recall. The T4S, a true performer's companion. 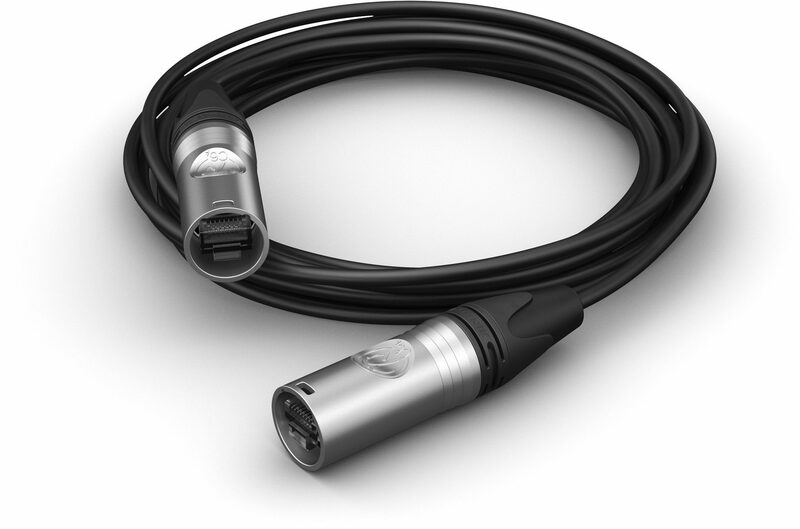 The Bose T4S ToneMatch comes with a ToneMatch cable, perfect for powering your T4S directly from a Bose L1 Model 1S or Bose L1 Model II portable PA system. To use your T4S ToneMatch with other PA systems that don't have a dedicated ToneMatch port, add the optional Bose ToneMatch Power Supply, sold separately. Elevate your performances with updated, studio-quality effects and advanced digital audio processing. Never run out of options with channel-independent EQ, dynamics and effects. Get your perfect sound fast with Bose ToneMatch processing for natural-sounding vocals and instruments, while zEQ focuses your tone for effective adjustments on the fly. When used with Bose L1 and F1 systems, the T4S mixer allows full end-to-end optimization of your sound. The T4S integrates with your performance using illuminated, tactile controls and indicators for spontaneous sound adjustments, even on dimly-lit stages. Jump into settings with the fast-learning, intuitive control interface. Additional features like tap tempo delay, built-in chromatic tuner, and recallable scenes makes it easy to be ready to play. The T4S is the ultimate on-stage companion for performing artists. For its size, the stereo T4S mixer gives you unprecedented connectivity with control. Four main channels feature high-quality audio preamps with XLR-combo jacks for microphones or instruments, and switchable phantom power. Additionally, the T4S offers two Aux sends, two Aux inputs, stereo balanced outputs, two ToneMatch outputs for digital audio (with remote power), USB-A and -B for USB drive playback or PC/Mac interfacing, a dedicated headphone jack, and balanced 1/4" TRS analog outputs. Rugged and ready to go, the T4S includes a protective magnetic cover and a ToneMatch cable for connecting directly to a Bose L1 Model II or L1 Model 1S system, providing a convenient one-wire connection for digital audio and power. A bottom insert allows you to use standard mounting accessories to keep the T4S within reach.